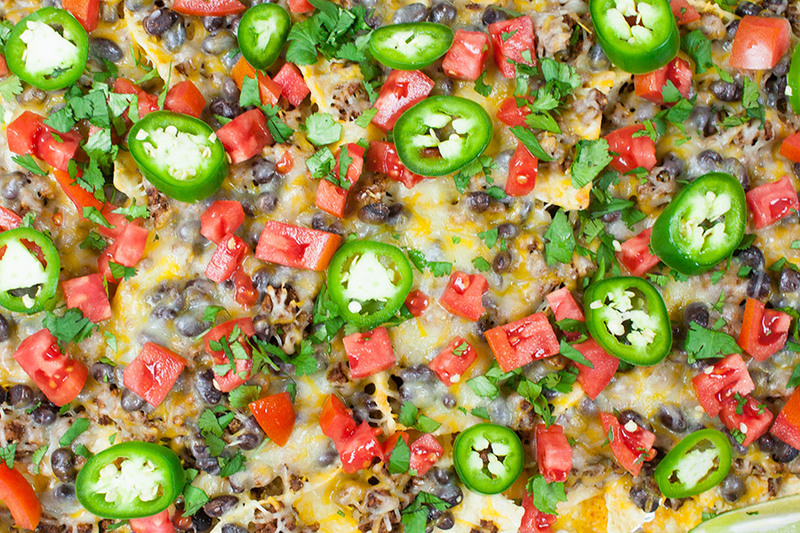 Sheet pan beef nachos are a quick and easy dinner or snack. 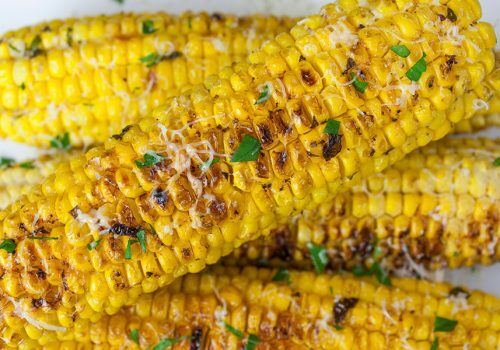 Perfect to feed a crowd or movie night in with the family. Take these to any level you like. I made a separate pan vegetarian for my daughter, just as easy. 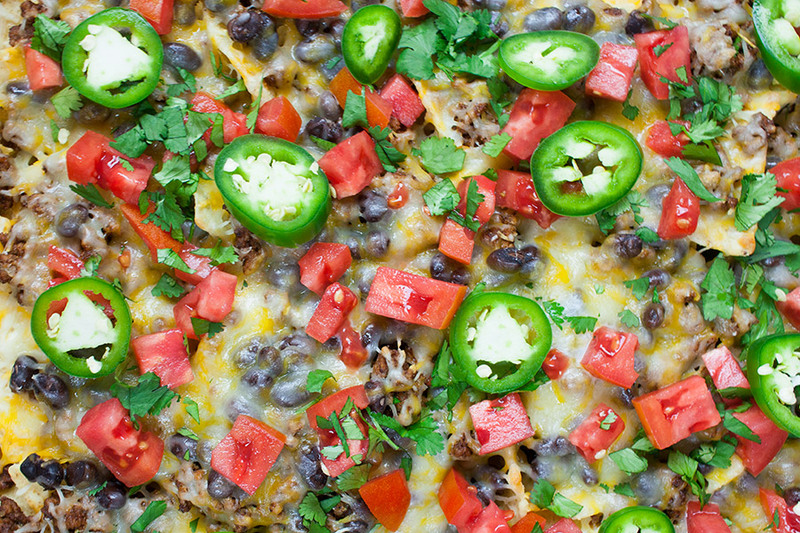 Pick and choose what you like on your sheet pan nachos and customize to your taste. Who doesn’t love the easy one pan cook and clean up? Ok, so you use another pan to saute the ground beef. But that clean up happens while the nachos are in the oven, so no biggie. Preheat oven to 400º degrees F.
Cover a baking sheet with heavy-duty foil, spray lightly with cooking spray. Mix together in a small bowl the chili powder, paprika, cumin, onion powder, garlic powder, sea salt, and cayenne pepper. Brown the ground beef, add the taco seasoning and cook for another minute or two. 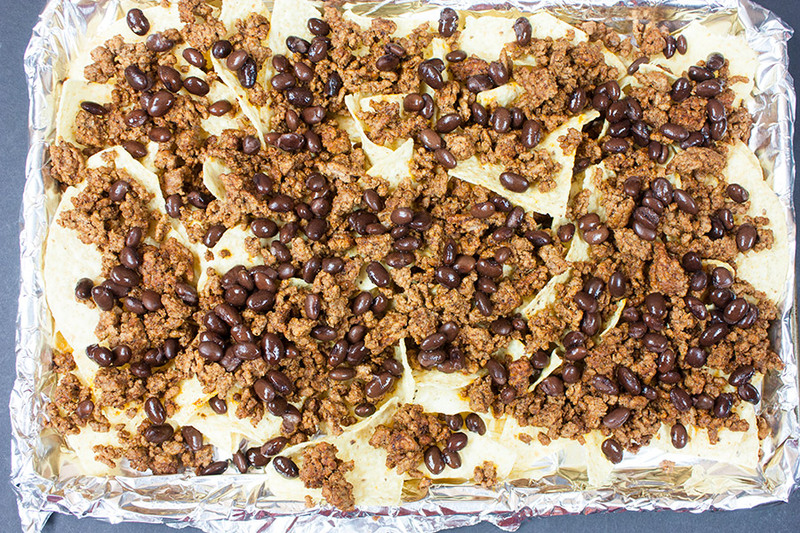 Spread a single layer of tortilla chips on the sheet pan. Spread the ground beef and then the black beans evenly over the chips. If you don’t like black beans as much as we do, try pinto beans or refried beans. Nachos are completely customizable. 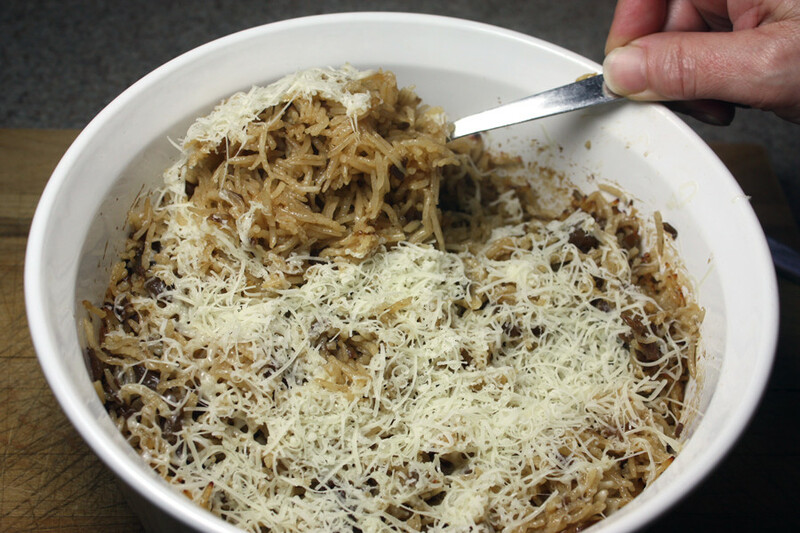 Sprinkle the shredded cheese evenly over the beans. Bake until heated through and the cheese is melted. Sprinkle on all your favorite toppings. 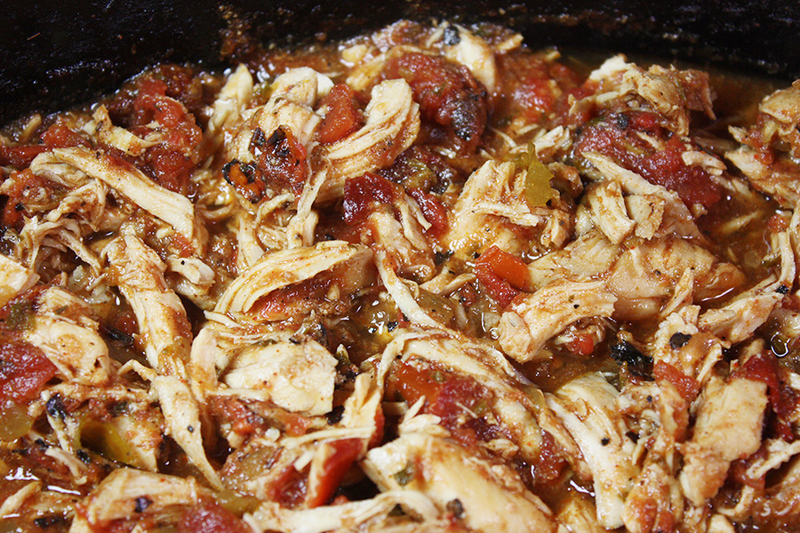 We used fresh diced tomatoes, fresh sliced jalapenos, diced green onions, and cilantro. 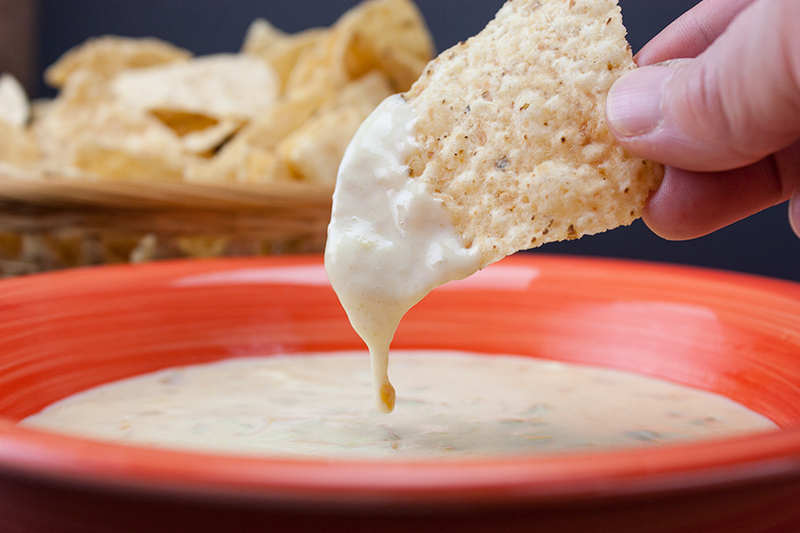 Serve with sour cream drizzled over the top or on the side. I slice up a lime for those of us that enjoy a fresh squeeze on our nachos. A less than 30 minute meal or appetizer. Nachos don’t get any easier. 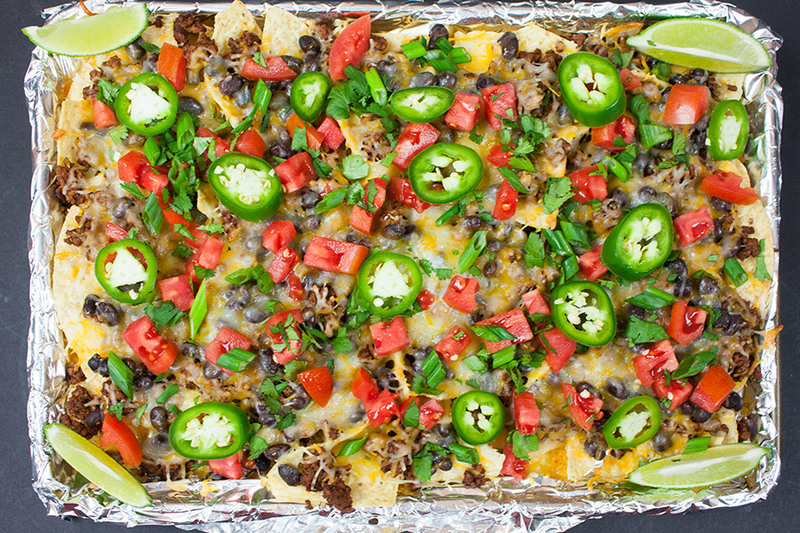 Sheet Pan Beef Nachos - Quick, easy and sure to please a crowd or just dinner for the family! Heat a large skillet over medium-high heat. Add ground beef and cook until beef has browned, about 3-5 minutes, crumble the beef as it cooks. Drain excess fat. Stir in seasoning mix and water. Cook another 2-3 minutes. 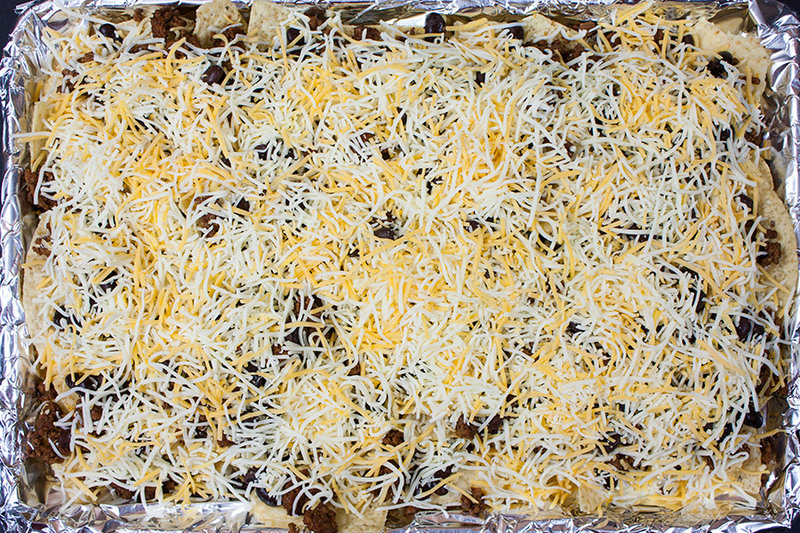 Lay tortilla chips in a single layer onto the prepared baking sheet. Top evenly with ground beef, black beans, and cheeses. Place into the oven and bake until heated through and the cheese melts about 5-6 minutes. 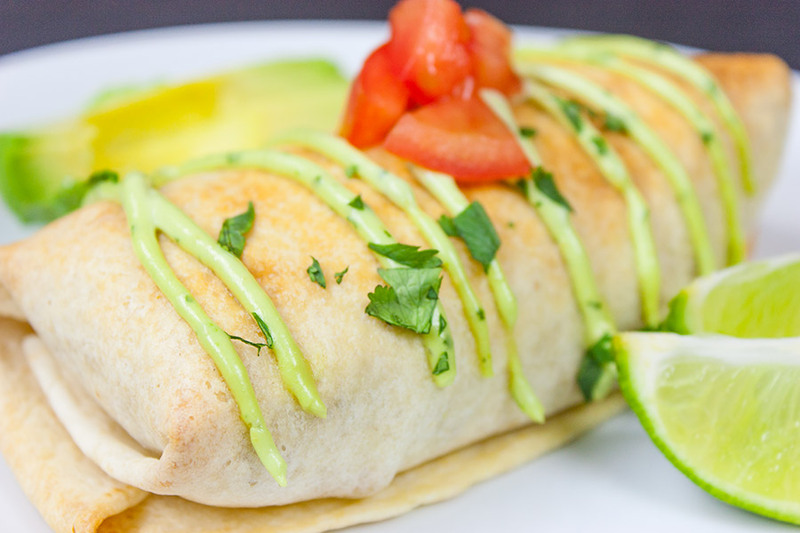 Serve immediately, topped with tomato, green onion, jalapeno, sour cream, cilantro, avocado, and salsa. Nutrition facts will depend on what type of ingredients you use. This is just an estimate. 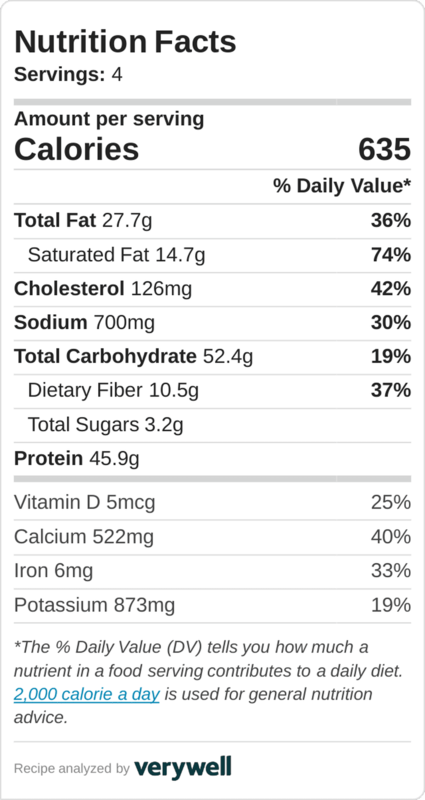 We do our best to give you nutritional information as correct as possible. Please feel free to calculate for yourself. I seriously love all things nachos! 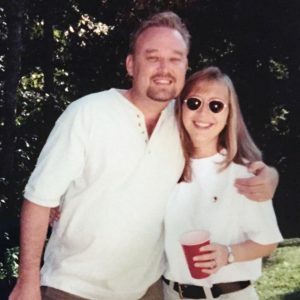 Thanks for sharing, I found you on the Think Tank Thursday link party! 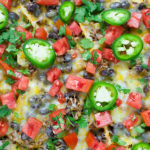 What a great pan of delicious Beef Nachos! 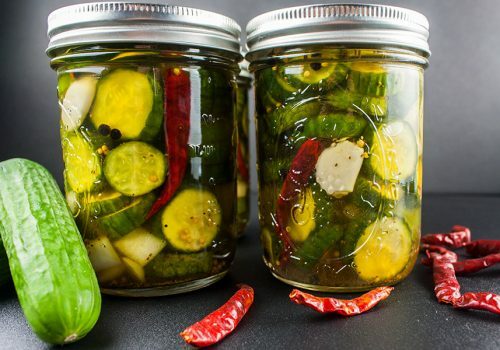 We always love your recipes at Full Plate Thursday, thanks so much for sharing them with us!